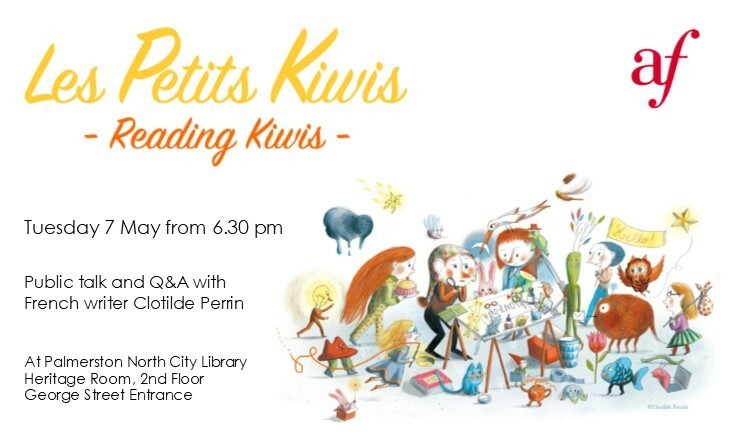 Join in for a public talk by Clotilde Perrin, a talented French writer and illustrator, at Palmerston North City Library (Heritage room, 2nd Floor) on Tuesday 7 May. Drinks and nibbles from 6.30 pm, talk starts at 7pm. For full information regarding the festival, please go to: https://geckopress.com/les-petits-kiwis-festival/.